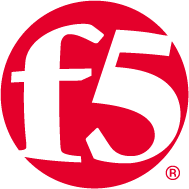 F5 Advanced WAF provides robust application layer protection, securing applications against threats including layer 7 DDoS attacks, malicious bot traffic, OWASP top 10 threats and common application vulnerabilities, while behavioral analytics enables powerful automated learning capabilities. The industry-leading Advanced WAF provides robust web application firewall protection by securing applications against threats including layer 7 DDoS attacks, malicious bot traffic, all OWASP top 10 threats and API protocol vulnerabilities. As the shared-responsibility model makes the application owner accountable for application security on AWS, the onus is on you to protect your application against common threats including web scraping, browser trojans who steal form data, web injection, brute force and zero day-attacks - all of which are preventable through implementation of the F5 Advanced WAF. Using behavioral analytics, automated learning capabilities, dynamic profiling and risk based policies, the BIG-IP Advanced WAF imposes additional security precautions to prevent even the most sophisticated attacks from ever reaching your application servers. In addition to attack mitigation, powerful reporting capabilities allow for easy, real-time analysis of attacks; allowing you to quickly make informed security decisions. Compliance with all major regulatory standards including PCI-DSS, HIPAA and FFIEC is also ensured. All hourly offerings include a 30-day free trial as well as access to F5 premium support. Proactive Bot Protection - Identify and mitigate bot attacks before they cause damage to your site. Protects your applications against automated attacks by bot and other attack tools including L7 DoS attacks, web scraping, and brute-force attacks. Behavioral DoS - Continuous monitoring of traffic behavior using machine learning and data analysis provides automatic protection against DDoS attacks - preventing the most sophisticated attacks from reaching application servers. DataSafe - Protect sensitive information from interception by encrypting data while it's still in the browser. DataSafe encrypts data at the app layer to protect against malware and keyloggers, rendering leaked credentials or data useless.